Please enter your email address below, you will receive an email when this product become available. Choose auto-delivery for this product to save on today’s order and each future order. Auto-delivery options shown after you select your size and color.  XSave 10% instantly on today’s order and each future order by selecting to receive this product at your desired frequency. This lightweight, long-lasting hair thickener is gentle on the scalp, safe for everyday use and available in 5 shades that resist wind, rain, and perspiration. Use with Toppik Hair Fibers for additional coverage and natural texture. Easily shampoos out. Won't clog pores. Available in a 5.1 oz/144g bottle. Due to carriers' shipping regulations this product is required to ship by ground and cannot ship to PO Boxes or APOs. This product is only available for shipping within the continental U.S.
Q. If it begins to rain, will Toppik Colored Hair Thickener stay in my hair? A. Toppik Colored Hair Thickener will stay firmly in place through wind, rain and perspiration. Q. Does Toppik Colored Hair Thickener affect hair growth? A. Toppik Colored Hair Thickener does not encourage or discourage hair growth. It wonâ€™t flake or rub off, and it doesnâ€™t clog pores or affect any scalp conditions. Q. How long does Toppik Colored Hair Thickener stay in hair? 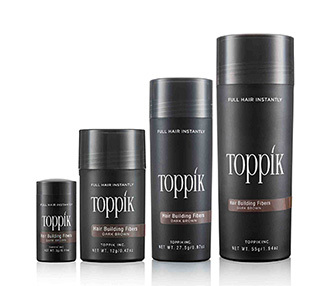 A. Toppik Colored Hair Thickener stays in hair until it is washed out with shampoo. Q. What do I do if the spray nozzle gets clogged? A. Use hot water and/or a pin to unclog the nozzle. Always make sure to shake the can well before applying Toppik Colored Hair Thickener. Q. Is Toppik Colored Hair Thickener safe for color-treated hair? Q. Can this product ship anywhere? A. Due to carriersâ€™ shipping regulations this product is required to ship by ground and cannot ship to PO Boxes or APOs. Currently we are not able to ship this item to Canada.